The S&P 500 set a new record high today, April 2, 2014, which should make investors nervous. 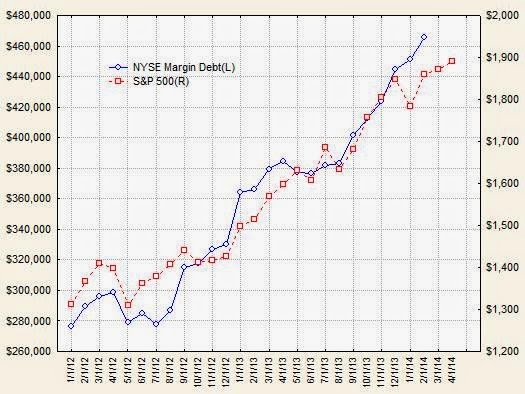 Here's a chart from my book Financial Bull Riding showing the close relationship between margin debt on the New York stock exchange and the S&P 500 through 2011. The data are monthly averages. Here is an updated graph with the same data from Jan 2012 through April 2014. Margin debt is about $100,000 above the peak of the last bull market while the S&P 500 is up about 500 points. 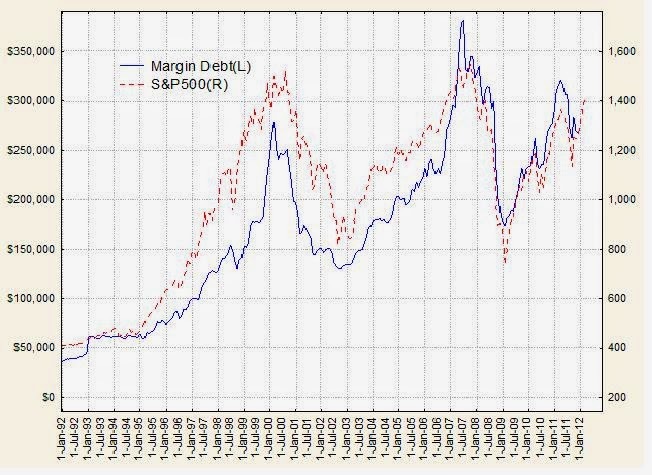 In March 2000, NYSE margin debt rose 78% on a year-over-year basis. In July 2007, it jumped 68% from the prior year. 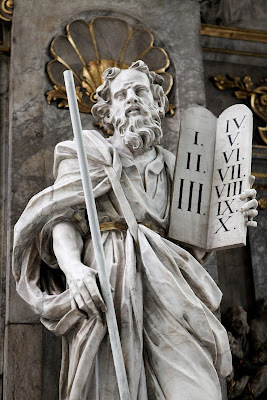 Both times, investors scrambled to take advantage of the surging stock market, only to be burned by sharp subsequent declines shortly thereafter. In February, margin debt rose just 27% from a year ago, a consistent pace compared to recent months. The hedge-fund industry has grown at a rapid clip since margin debt last reached record highs in 2007. So part of the overall rise in margin debt likely comes from the fact that there are more hedge funds doing the borrowing, J.P. Morgan analysts say. Hedge funds typically use leverage, or at least more leverage, than individual investors, but hedge-fund leverage ratios are well below their 2007 peak. US household debt rose in the latest quarter by the most since before the recession, a sign that Americans may be nearing the end of a multi-year belt-tightening trend, data from the Federal Reserve Bank of New York showed on Tuesday. Total consumer debt rose 2.1% to $11.52 trillion in the fourth quarter of 2013 from $11.28 trillion in the third quarter, the New York Fed said in its quarterly household debt and credit report. The increase, $241 billion, marked the biggest quarterly jump since the third quarter of 2007. The stock market may continue to climb for a few more months, but record household and margin debt as well as new record highs set by the S&P 500 at levels much higher than the last peak indicate we're nearing the top and the end of this bull market. Exact tops are impossible to predict, but this would be a good time to begin switching to cash (or gold) or bonds so that when the big bust happens investors have as little in the market as possible.